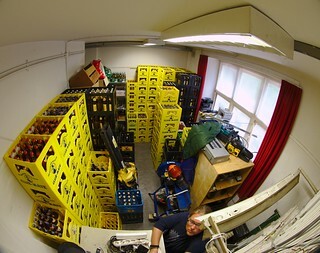 All the Club-Mate and assorted drinks leftover from OHM2013 were purchased by Hack42. A nice addition to our stock. I took this picture by holding my camera way up to the ceiling with my monopod and by using the 10 second timer.